← Girl Scout Mobile Mosaic Party! So, lately I have been insanely blessed with opportunities to share my love of mosaic with others, namely children in St. Paul. I was able to teach a class to a group of EBD kindergartners, a group of Girl Scouts and this week I will get to work with two classrooms, one of third graders and the other of sixth graders. These creative jaunts have been welcome blessings amidst the ongoing job search and figuring out how to make ends meet during the process. I’ve been spending a lot of time thinking about what to do next and how to recognize my next great adventure. It occurred to me today, while in my studio, that I have been sending lots of questions out to my higher power and to the universe at large and hadn’t received any answers. Frustrating. Grrrr. Then it struck me that maybe all my questions are drowning out the answers. Hmmm. I am good at talking a lot and that goes double for when I am stressing about what to do next. Perhaps the key is not only in the asking, but in the listening for the answer. Being still within oneself and having faith that the answer will come. And that it will be good. With this thought, I challenge myself, and maybe you, dear Reader, to ask the questions that need asking, then listen quietly and patiently in faith for the answer to come. 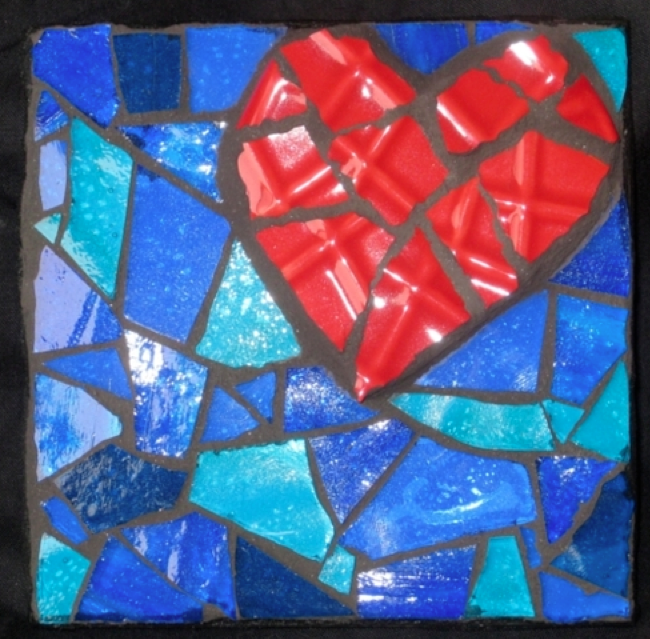 This entry was posted in Mosaic Musings and tagged Mosaic musings. Bookmark the permalink.